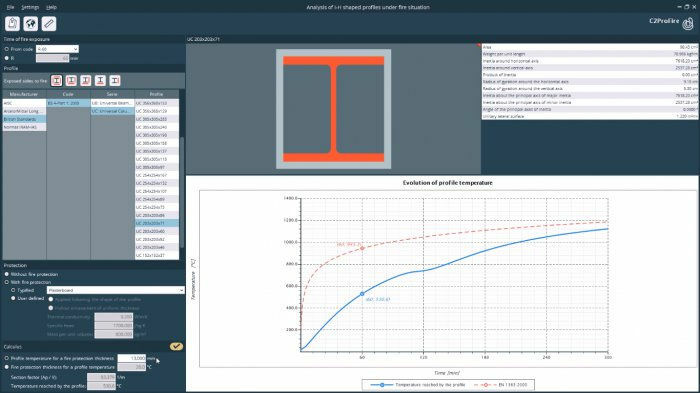 The program analyzes the heating evolution of I-H shaped steel profiles under fire situation (protected and unprotected profiles). It is admitted unprotected and fire protected steel profiles. In the last case, the program allows to use typical or user defined fire protections. The user sets the exposed sides to fire. The program includes a large number of I-H shaped profiles from various countries. 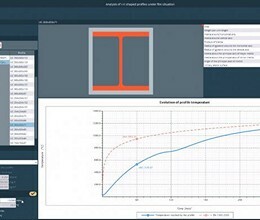 It is possible to select profiles from a large database of I-H shaped rolled profiles. For each profile, it is shown its area, weight per unit length, inertia, radius of gyration, unitary lateral surface and section factor. It is allowed profiles with or without fire protection. The protections can be typified or user defined. * C2ProFire download link provides free for non-commercial use version of the software. C2ProFire has been rated 4.0 out of 5 points. A total of 3 votes cast and 0 users reviewed the software.